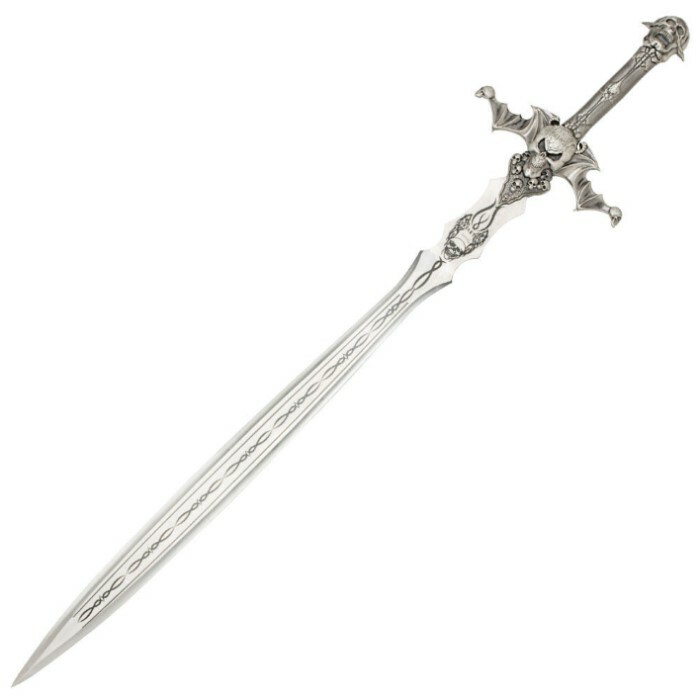 Skull Bat Guard Sword | BUDK.com - Knives & Swords At The Lowest Prices! A wicked-looking sword like this one only comes around once in a decade. It features a cast metal skull pommel with bat wing hand guards and a whole graveyard full of cast skulls that devilishly look away from the sword. A 30" stainless steel blade is adorned in skull and tribal artwork to make it all the more detailed. Includes wooden wall plaque to hang your new treasure on as well. But, don't wait to buy, they're sure to sell out fast! 41" overall.